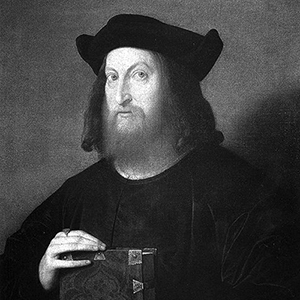 Ludovico Vicentino degli Arrighi (1475–1527) was a papal scribe and type designer in Renaissance Italy. Very little is known of the circumstances of his life. He may have started his career as a writing master in Venice, although this has been disputed. Around 1510 he was a bookseller in Rome. He was employed as a scribe at the Apostolic Chancery in 1515. 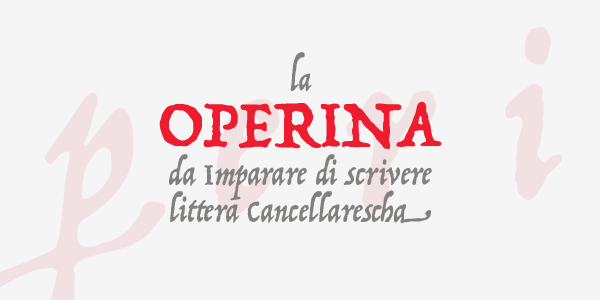 His experience in calligraphy led him to create an influential pamphlet on handwriting in 1522 called La Operina, which was the first book devoted to writing the italic script known as chancery cursive. This work, a 32-page woodblock printing, was the first of several such publications. He turned to printing in 1524 and designed his own italic typefaces for his work, which were widely emulated. His last printing was dated shortly before the sack of Rome (1527), during which he was probably killed. His letterforms were revived in the 20th century by designers such as Stanley Morison, Frederic Warde, Robert Slimbach and Jonathan Hoefler.